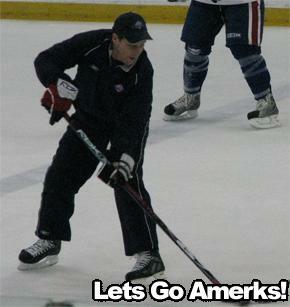 Practice 11-18-2008: We Have A Veteran That Needs To Get On The Ice · Let's Go Amerks! 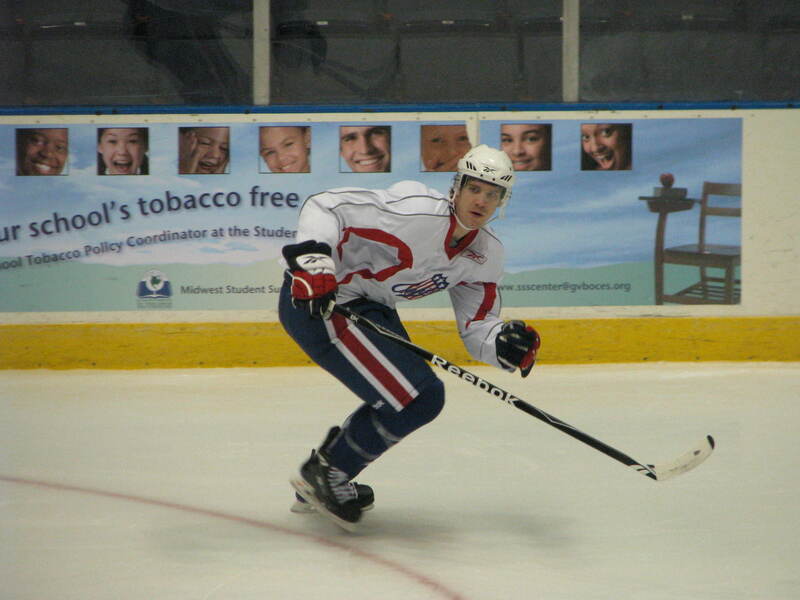 Why in the world isn’t Jason Cipolla on the ice for the Amerks? I watch him practice at least twice a week with the boys and I always wonder why he doesn’t still play. He is barely older then Rory Fitzpatrick and it’s time to suit up. When he is doing skating drills with players, he is always faster than almost all of them. I want to see him signed to a PTO and get in a game or two. Would it hurt anything? No. It hasn’t been that long since he was laced up and on the ice. 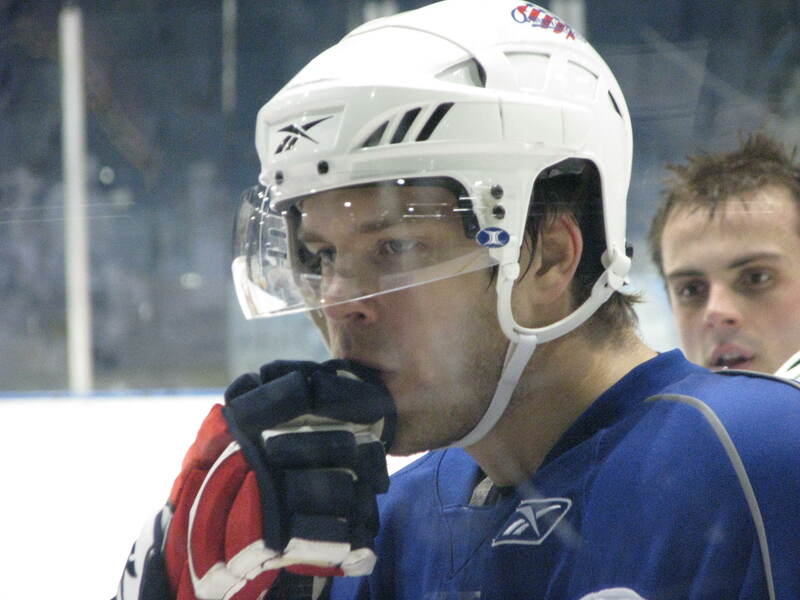 He was with the Hannover Scorpions until the 2005-06 season. Jason could be a player that the fans here in Rochester can really get on board with. He has always been a favorite of mine. I wanted him to play last year when the going was tough (the whole year), and now I only want to see him back in the Red, White and Blue even more. OK, enough about my obsession with Jason coming back to play. I’m sure it’s never going to happen no matter how many times I ask him to suit up. edit: There goes Cipolla out doing skating drills with Peter Aston and Karl Stewart and he is killing them. Come on Cippy…what’s the hold up? They are buffing the glass at the arena again today. They should really just get new glass…that would be better seeing as ours is un-buffable. But, at least they are doing it more than once. It does make it a bit hard to see the practice going on in front of me though. 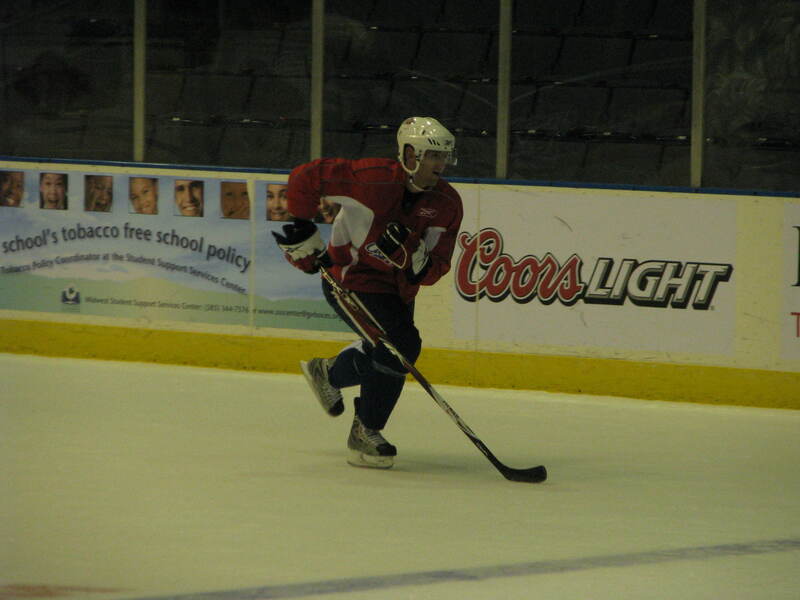 Beaverson is still practicing as a forward. I like him in this position. He has been playing pretty well there during games. He can block shots that are coming from the point and that is great to have out there. Even if it is just on the 4th line. Benoit just had a nice little talk with all of the defensemen. I am pretty sure he was explaining to them how to skate backwards and be able to stay between their man and the net. Things people should know before playing professional hockey but, alright. Shawn Matthias is still playing with the 4th line with Beaverson and Emmerson. I don’t find him to be lazy like some fans do, but he needs to start producing. Of course, right now, he isn’t going to be able to produce very well being on a line with a defenseman and a kid who doesn’t get around very fast or far. Why do I always think Michal Repik is like 25-years-old? He doesn’t even turn 20 until December 31st. He is a shining star on a team without many. And the fact that he is so young only makes it better. He improves every game too. He is a kid who can develop no matter what kind of horrible team he is on. Can’t say that for most kids. They are buffing out the glass in front of me so I can finally see most of the ice. Now the 1st and 2nd powerplay lines are practicing on one end of the ice. On the other end the rest of the team was taking shots from all over the ice on Shantz. 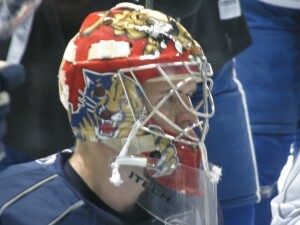 I want to see Shantz start tomorrow night. He played great against Hamilton on Sunday night. The Hamilton fans around me were giving him complements and were mad we didn’t put Beckford-Tseu back in goal again. Get him in there. He is here to give us a shot at winning right? So, let’s do it. He got all new equipment today! He is very excited about it. Janis Sprukts is not practicing. He pulled his groin during Saturday night’s game against the Hamilton Bulldogs. Hopefully, it isn’t too bad. He had a pretty good limp going on Sunday night after the game though. Karl Stewart is getting on the ice now in full gear. The team is done practicing, but he is coming out. He is obviously getting better seeing as this is the first time I have seen him in full gear since his injury. We could sure use him back. He’s got on the red no contact jersey still though. Come back Stew, we miss you (I never thought I would hear that out of my mouth…or head).